Gunday Ik Vaar Fer Lyrics – Dilpreet Dhillon & Baani Sandhu have sung this song which is written by Jassi Lohka & Lavi Jhinjer. Its music is created by Western Penduz and video is directed by Tru Makers. 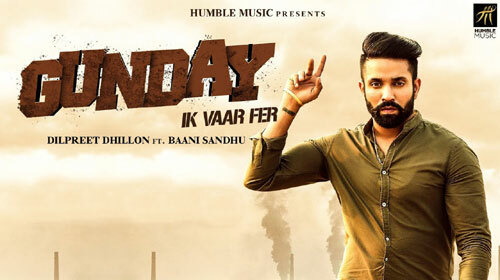 If you find any mistake in lyrics of GUNDAY IK VAAR FER LYRICS – Dilpreet Dhillon song please let us know in comments.